So of course I know about the 365 Photo project where you take a photo a day for an entire year. Typically, I am totally incapable of starting at the first of a year (I started in March) and also incapable of actually taking exactly a photo a day. So what if I started in March? And so what if I don’t actually take a photo everyday, but several in one day and maybe none the next? 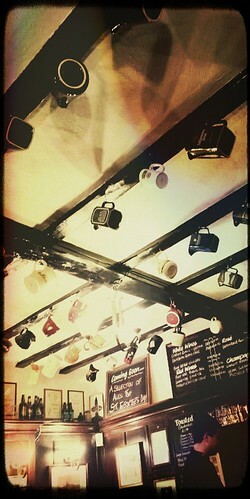 What’s important to me is that I’m taking more photos. 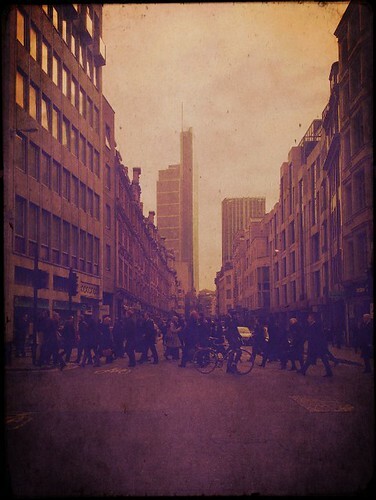 This it the first installment of many in which I chronicle my attempt to walk the A-Z of London. 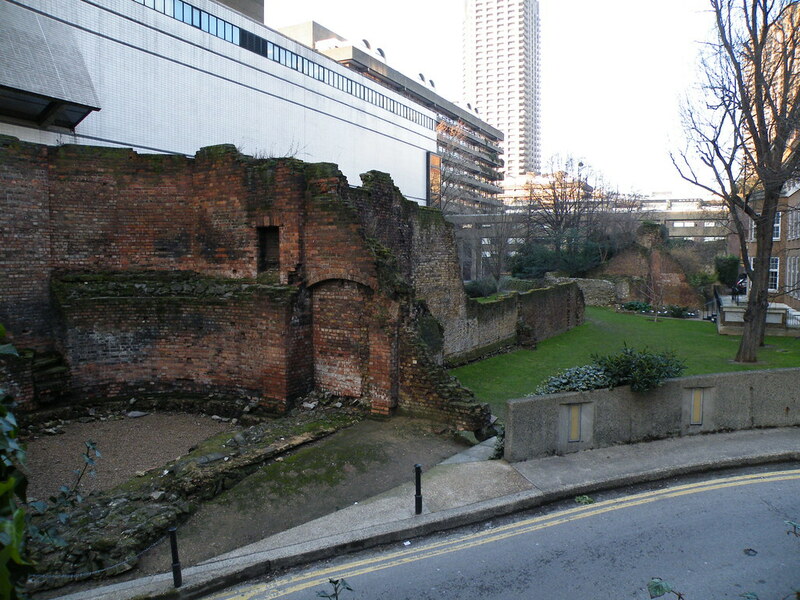 Yesterday, Alex and I walked the Roman Wall that surrounded Londinium, the Roman precursor to the modern city of London. 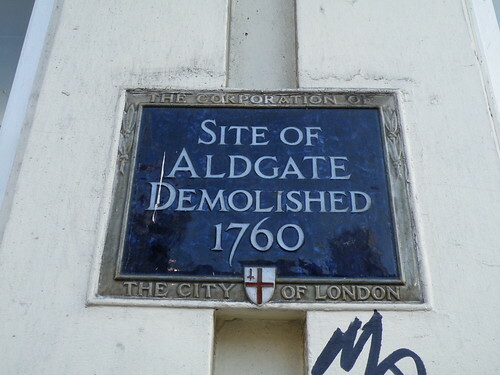 I won’t go into the history of it here, as it’s easily wikipedia-ed, but suffice it to say, it’s some of the first level of London history and it endlessly fascinates me. We started off at the Tower of London (a 20 minute bus ride from where I live, I still can’t believe it!) 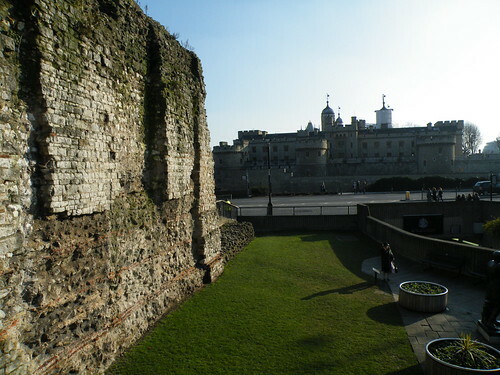 The Tower of London is a very large reminder of the history of the city, although in its current form, it is still much younger than the Roman wall found nearby. The Tower is (to me) surprisingly close to the Gherkin and on our walk to the next bit of wall we found ourselves among highrises and the ubiquitous suits found in the City. Considering our surroundings, it’s not terribly strange to find the next bit of wall as part of a hotel. I went inside an asked and we were directed towards the courtyard where I expected a grimy bit of wall as part of a water feature or something. 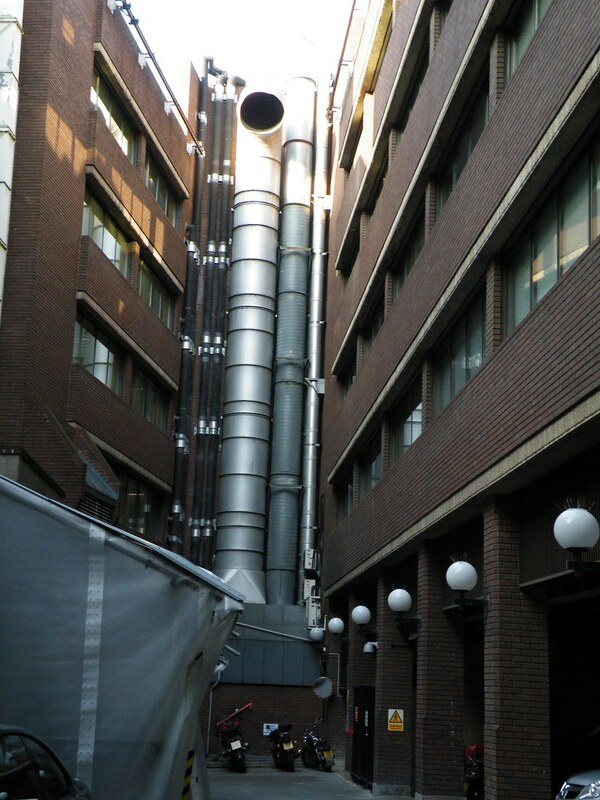 Instead, we saw this…. Then, for a while, any visible signs of the wall, except for historical plaques, were missing having been demolished several hundred years ago. 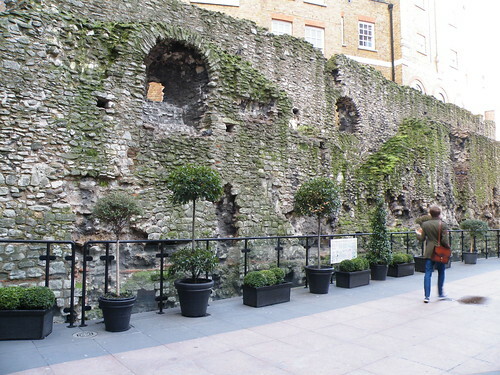 We kept walking to trace it’s path until we got to the Barbican, which was absolutely amazing not least for it’s inclusion of bits of Roman and Medieval wall in it’s vast landscaping. 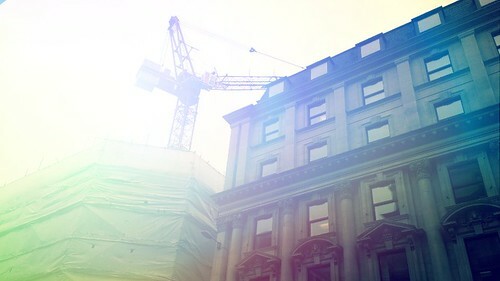 The last part of the wall we found was very near to St. Paul’s Cathedral and extended across a very busy road from a car park and the Museum of London to another unidentified office building full of unidentified people doing unidentified things that will undoubtedly ruin our economy/environment/lives. 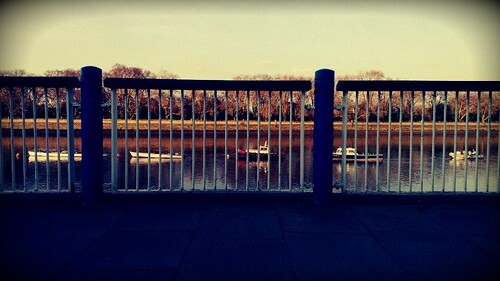 The rest of the walk traced the end of the roman wall where it turned to meet the River Thames. We didn’t go that far because we found a pub! 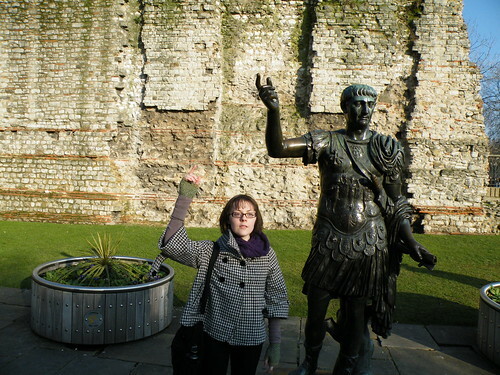 It was really, really interesting to trace the wall around Londinium. We walked it in just a few hours (including photo opportunities). The Roman city was very, very small indeed and it’s weird to imagine empty space surrounding it. That this was the only bit of city for miles and miles around and they needed a wall to protect themselves in a city that is now welcoming the 2012 Olympic games. It was also an interesting and near impossible exercise to really put it into context. 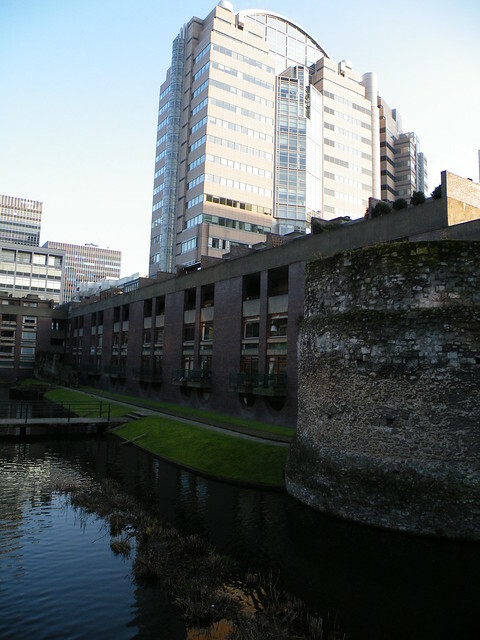 Bits of wall surrounded by highrises, hotels, suits, taxis, the Barbican. I cannot imagine it. I just can’t and that’s what is so interesting to me. It’s so far removed, but I will be thinking about it and trying to add context for a long time to come.